Thanks for your interest in working at San Francisco Heritage! San Francisco Heritage is looking for a full-time, executive-level historic preservation professional to oversee its advocacy and education programs. The new Vice President of Advocacy & Programs (VPAP) position will help lead the organization, direct advocacy and education initiatives, and support fundraising to advance Heritage’s mission. The VPAP coordinates preservation goals over different program areas, including advocacy, research, education, communications, and outreach. As part of this work, s/he supervises, mentors, and coaches program staff to achieve established annual goals. Heritage’s VPAP is also a skilled public policy manager and coalition-builder. S/he supports Heritage to achieve policy goals by bringing partners together, providing technical support, and leading advocacy campaigns. The VPAP supports organizational operations including grant-writing, budget management, and public/donor relations. Reporting directly to the President & CEO, the VPAP provides input on the strategy and governance of the organization, guided by Heritage’s 2016-2021 Board-Level Plan. Please submit cover letter, resume, and writing sample to Claire Flanegin, Advancement Associate, at cflanegin@sfheritage.org. Click here to review complete job description. San Francisco Heritage is looking for a full-time Communications and Programs Manager. They will be responsible for the production of all website and publication content, email marketing, and social media, and coordinates the planning and execution of regularly-scheduled educational and special events. The Communications and Programs Manager will work under the direct supervision of the Vice President of Advocacy & Programs and in close collaboration with other Heritage staff to formulate messaging for educational programming and advocacy issues, and manages media outreach and inquiries. The position is responsible for ensuring all internal and external materials are consistent with established design guidelines and accurately represent the mission of the organization. The Communications and Programs Manager is expected to approach outreach opportunities creatively, especially in regard to partnerships and the application of new media. 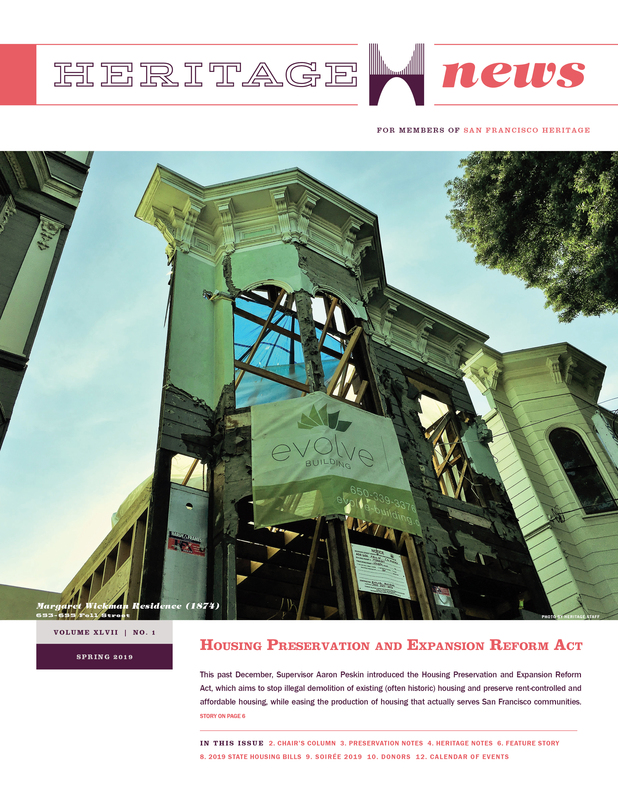 The position works collaboratively with staff and volunteers to develop programs reflective of the organization’s citywide advocacy efforts, neighborhood projects, and current initiatives at the Haas-Lilienthal House and Doolan-Larson Building. Applicants from the Bay Area are highly preferred. Applicants from outside the Bay Area should be aware of the high cost of living in San Francisco and the greater Bay Area region. Please consider the cost of housing before applying. Please submit cover letter, resume, and writing sample to Claire Flanegin, Advancement Associate, at cflanegin@sfheritage.org. Click here to review complete job description. The deadline to apply is Monday, May 6th. Heritage accepts new volunteers to help with a variety of different projects and tasks. These might include: research, grant writing, data entry, clerical, membership mailing coordination, publicity, brochure distribution, gardening and housekeeping projects, special events, etc. 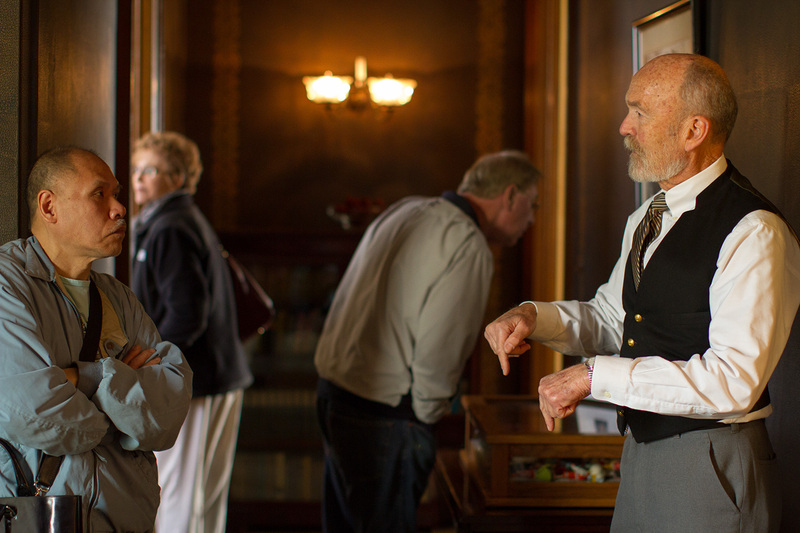 Volunteer Coordinator Pamela Larson at 415-441-3000 x14 or plarson@sfheritage.org.